C8 Corvette Forum > C8 Corvette Forum > 2018+ Chevy C8 Corvette Pictures > First look at key fob? First look at key fob? 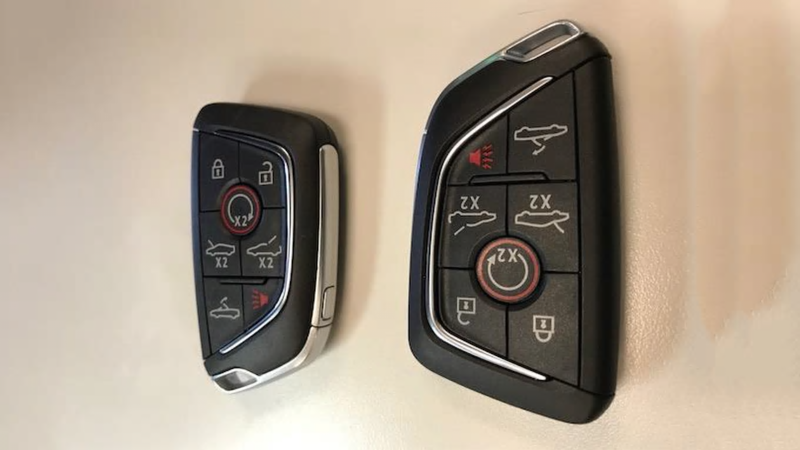 Some new photos have just leaked, which many seem to think show the key fobs for the upcoming C8. There was also a leaked document which supports that the mid engine vet will indeed be a 2020MY. The fob also has what appears to be a button for a power retractable roof, which could mean either a powered targa or hardtop. That's a pretty basic key fob for a $100k car. The powered roof is unexpected, but at least its now confirmed that there will be some sort of convertible option. I agree. 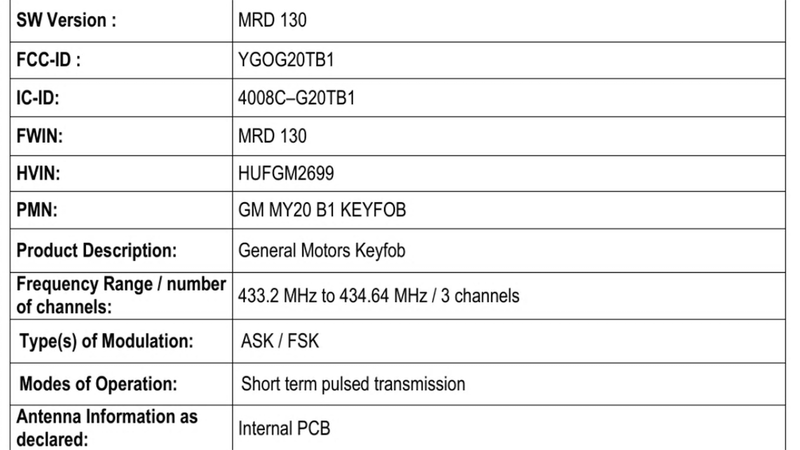 Its not that hard to make a special key for C8 owners instead of giving what we'd probably find in products like the Impala, Malibu, Tahoe, etc. Lets hope that this is just a working prototype, because I agree that it doesn't live up to the pedigree of the C8. I suppose if you consider what the key fob was for the ZR1, this isn't all that surprising. I have a good feeling that this is the exact fob that we are going to see, and I agree that its disappointing. Wasn't expecting them to deliver something like we see from McLaren or Tesla, but this just isn't all that prestigious. I don't think a key fob will detract interest in the C8, so long as Chevy delivers the rumored power outputs we've seen and at a fair price point. You can also look at it from the point of view that a less expensive key fob will be cheaper to replace should it become damaged or lost. But don't you think that something in this price bracket should have some more premium equipment? Even Porsche has begun to place their key fobs in replica car models. Anyone that find this to be a problem can always get some fancy sleeve to keep the fob in. Bellroy (i'm not promoting them) is one brand I used in the past. Since this was the key fob that we got in the C6, there is a good chance that these leaked pics are accurate. At least we know that the C8 will have a powered top of some kind, rather than the manual targa that was first reported. Cadillac isn't any better to everyone's surprise, even with products like the new CT6. 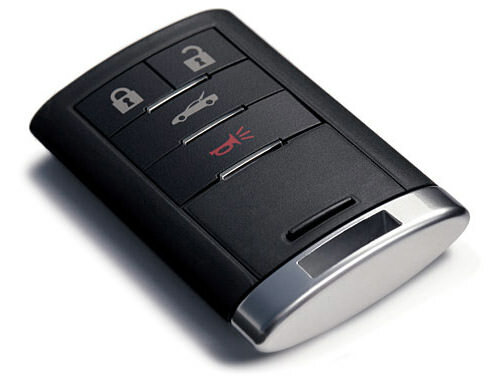 Just wait till the new Escalade comes out, it will likely have yet another boring key fob.